Children love to learn about little creepy crawlies bugs and insects. We’ve paired up 26 key scriptures with 26 different colorful photos of interesting and exciting bugs! This set is especially loved by little boys and girls alike. It’s a great way to encourage your children to commit God’s word to memory. Six beautiful, full-color photographs of God's marvelous creation, paired with six different key scriptures for little ones. Two beautiful, full-color photographs of God's marvelous creation, paired with two different key scriptures for little ones. A special printable pocket for children to store their Buggy Bible Verse Cards. Looking for more Bible Memory Tools? 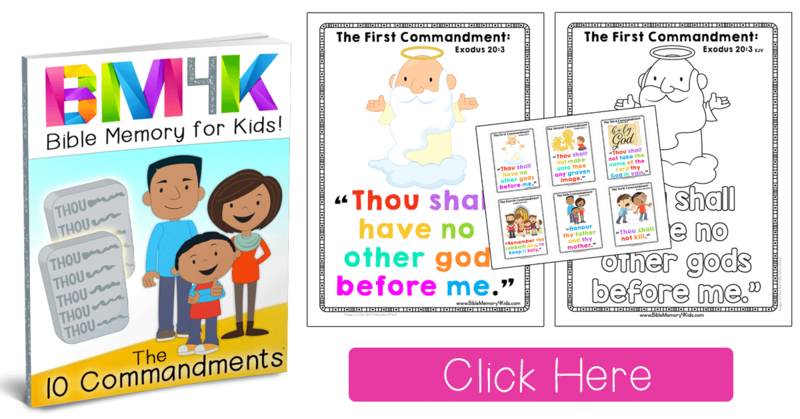 Try our Ten Commandments Bible Memory Pack today!